If you are into interior design, then you probably have a bit of a creative side. Have you ever thought about having your own studio that you can work on your art and interior design planning? A good place to have your first studio is in the comfort of your own home as you don’t need to pay for any overheads, rent and travel. This is why we have put together this guide on how you can create the perfect backyard studio. Keep reading if you’d like to find out more. Although doing some art out in the open would be great, the weather is not always going to permit this, so you’ll need some shelter. 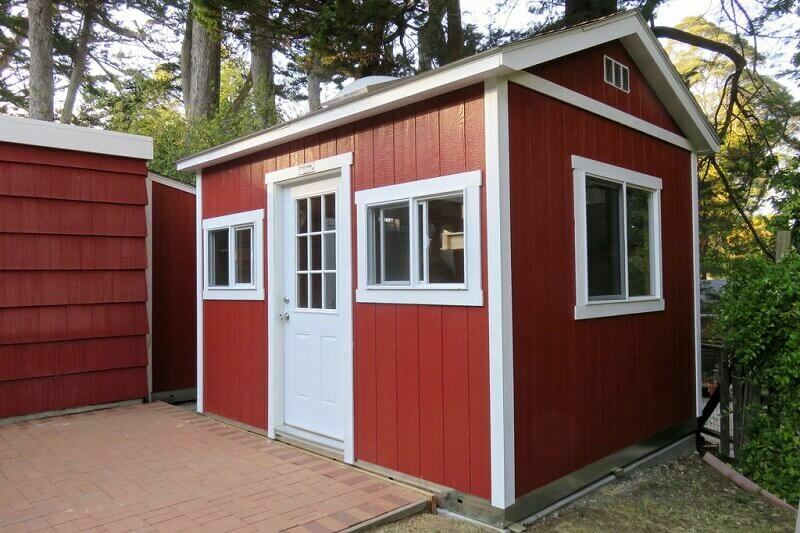 Think about your current garden shed and how it could double up as an art studio. If your shed is looking a little worse for wear you might want to take a look at the steel buildings for sale that would work really well as a larger alternative. Steel buildingscan make for great exterior buildings as they are strong, well insulated and can be secured extremely well. The location is very important so make sure to consider this carefully. This is your art studio, so it should be designed to suit what you like. This is the chance to really bring out your interior design skills and create something great. Think about what inspires you and add these things to the walls. If you want to make this solely about the piece you are working on at the time, you might want to keep the walls and floor pretty neutral to help you focus. If you are going to create something great, you’ll want to find some great lighting. Of course, you’ll have the natural lighting in the daytime but if you are in your studio at night you’ll need some artificial lighting. Play around with different lamps that you can position beside your latest piece. Don’t just rely on overhead lighting as this will not always light up everything that you need to see. If you are going to be spending a lot of time in your backyard studio then you will need to be comfortable. Think about getting a nice desk and a chair that you can sit on for a long time without needing to move. If you prefer to work on the floor, you could get some nice cushions or rugs that you can sit on. Comfort is key so make sure to come up with something that suits the way that you do your art. There’s no need for you to be spending money on rent each month for your art studio in the city centre. You should think about designing your very own art studio right there in your back garden. This will give you a place to get creative and you’ll love coming up with the design for it.